Is Malaysia a party to the Kyoto Protocol? YES. 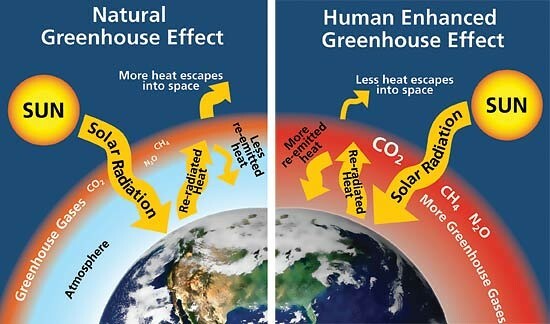 Greenhouse effect: Global warming, which is attributed to the greenhouse gases emissions, is the rise in global mean temperature due to an increase of heat-trapping greenhouse gases such as carbon dioxide (CO2) and methane in the atmosphere (CH4), see figure below - NPS. Left - Naturally occurring greenhouse gases normally trap some of the sun’s heat, keeping the planet from freezing. SYDNEY — Key greenhouse gas emitter Australia on Friday said it will sign up for a second round of the Kyoto Protocol environmental protection treaty, but New Zealand opted out. Climate Minister Greg Combet made the announcement in a speech to a carbon expo, saying: "Australia is ready to join a second commitment period of the Kyoto Protocol." So far, only the European Union and several smaller economies have signalled a willingness to agree to a second round of pledges. Australia is among the world's worst per capita polluters, with a heavy reliance on coal mining and exports and most of its electricity coming from coal-fired power stations. Although Kyoto - the first global treaty to set binding obligations on wealthy countries to cut emissions - was negotiated in 1997, Australia refused to join for years. It was only when Labor came to power in 2007 that it shifted course. Combet's announcement comes ahead of annual negotiations under the UN Framework Convention on Climate Change (UNFCCC), which this year take place in Doha, Qatar, from November 26-December 7. The big issue is renewing commitments under Kyoto after the first round of cuts expires on December 31, although agreement on a new globally-binding deal is not expected until 2015 and will not come into force until 2020. Combet said Australia's decision was not a blank cheque and other countries must also step up. "For Australia, there must be continued progress towards this new agreement by 2015, from both the developing and developed countries alike. The Kyoto Protocol is not enough on its own - it will cover less than 15 percent of global greenhouse gas emissions and only from a number of developed economies," he said.